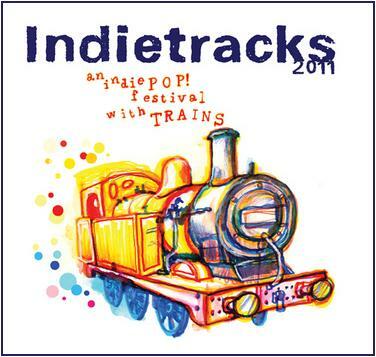 Indietracks - an indiepop festival: Indietracks 2011 compilation: out now! To celebrate this year’s festival, Make Do And Mend Records are releasing a download album featuring some of the most exciting bands around! The album is available from today. The download-only release features 40 fantastic tracks from artists playing at the festival, including a number of bands who have been creating a buzz on national and international radio and across this year’s summer festivals, such as Help Stamp Out Loneliness, Withered Hand and Papa Topo. They’re joined on the compilation by four of this year’s headliners; The Hidden Cameras, Jeffrey Lewis, Crystal Stilts and Herman Dune. The album includes an exclusive previously unreleased version of a song by The Hidden Cameras, brand new songs by Frankie Machine, Graeme Elston and The Proctors, plus previously unreleased tracks by Help Stamp Out Loneliness, Victoria and Jacob, Jeffrey Lewis, The Sweet Nothings, and Zipper. You can set your own price for the compilation, 100% of which will go directly to the Midland Railway charity who host the festival and without whom it wouldn’t exist! We'd like to encourage everyone to donate as much as you can – even the smallest amount helps keep the railway running, and therefore the festival!